Enjoy the thrill of being propelled up in the air, and fly above the water like Superman! No previous experience is necessary! 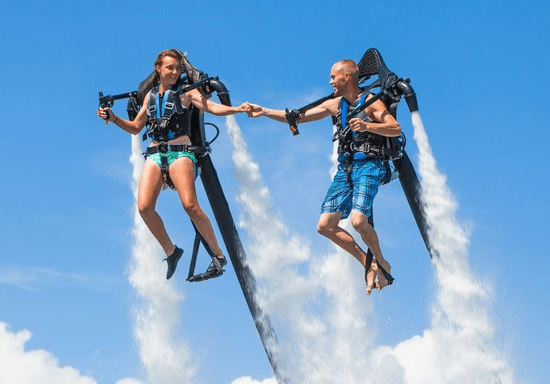 If it's your first time on the Jetpack, you will get a full instruction with some helpful tips to make you have a safe and enjoyable Jetpack experience. The duration of each session is 30 minutes. During the first 10 minutes, a professional instructor will explain how to use the device, how to take off and fly it safely, then you will have 20 minutes to fly. During the activity, you will be connected at all time to your instructor through a waterproof communication system attached to your helmet. 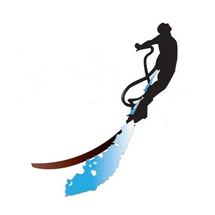 Depending on your progress or previous experience, your instructor can also increase the power on your Jetpack to make you fly higher and faster, or he can teach you some new tricks like walking on water!